Reports suggested the 31-year-old had picked up the problem during a training session with Chile in Japan. 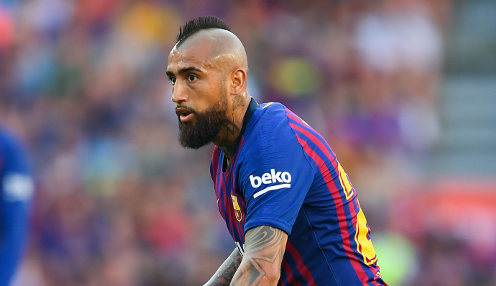 Vidal had to endure a knee operation in April, which forced him to miss the closing weeks of Bayern Munich's 2017/18 season, before his summer switch to Barcelona. However, Vidal insists: "I heard a lot of things and they're all lies. I've [got] nothing wrong with me. "I left before training for a rest after a long journey. I went to the gym and used the bike, but I did everything as normal in training. Chile's match with Japan was cancelled because of an earthquake in Hokkaido, with Vidal adding: "We felt the earthquake but we are fine and a little bored, but that's how things are. "It is important for everyone to know that we are all fine, nothing has happened to us. It was more of a scare than anything else." Barcelona are 6/4 to win the Champions League this season and 1/2000 to clinch the La Liga title.